We live in a province with thousands of lakes to enjoy and discover. But we must know how to be safe. 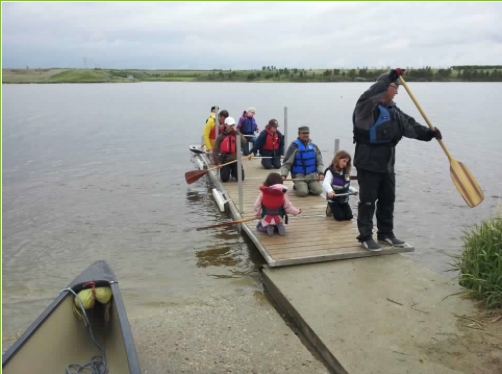 Each year SaskOutdoors organizes a Paddle Canada Canoe Training course to teach educators how to safely take a class of students out onto a body of water for an outdoors educational experience. Welcome to Paddle Canada Lake Canoe Skills Tandem/Solo (Introductory, Intermediate, Advanced). 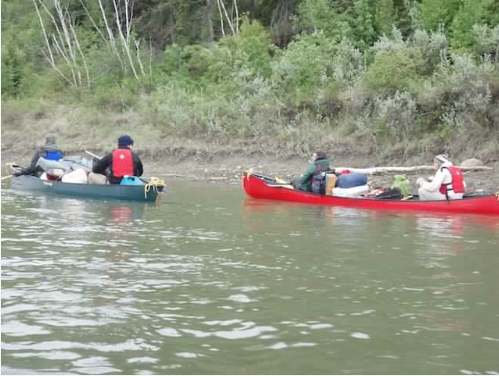 These courses were designed by Paddle Canada (formerly Canadian Recreational Canoeing Association), they are often chosen by school divisions as part of the requirements for leading school canoeing programs. The Introductory, Intermediate, and Advanced levels will run concurrently with the skill of the participant determining the level reached. The Advanced level is Paddle Canada's highest level and requires the demonstration of excellent canoe and paddle control. The Advanced paddler should be able to demonstrate the many paddle strokes, canoe knowledge and maneuvers. The time required to complete the courses partly depends on the participant's skills coming into the program. As much as possible, the program will be self-pacing so participants will be evaluated when they are ready. A skilled paddler may complete the program early. Peer teaching is encouraged. Since evaluation requires the attention of the evaluator, some patience is required when asking for instruction and evaluation. On-water and on-shore sessions will be alternated to provide an opportunity for rest, drinks and snacks. Summaries of the courses can be found on paddlingcanada.com.